A huge part of your business as a loan officer is being up to date and open to new ways of gaining referral sources. It doesn’t just end with gaining that source, but requires continual attention to build strong relationships and increase your business. Here are a few tips to consider when looking over your referrals and ways to expand them! Some loan officers don’t feel the need to have effective working relationships with realtors, but keep in mind that they’re a direct way to get into contact with people looking to purchase homes. Keep yourself in the know on homes in your area that are going up for sale, and try and create a relationship with the listing agent. Consider the use of mortgage and various real estate apps so that as soon as a house goes up on the market, you know and can get in contact with the agent. Once you’ve established a relationship with a listing agent, offer your services when they do open houses. You can then get into direct contact with clients looking to purchase, and offer information on how the loan process works or even help them get pre approved for the loan. Do some pro bono work with some educational institutions in your area. Work with a high school in your neighborhood and offer classes on finances and credit building courses to get your presence known in the community. While you’ll likely be working with youth that aren’t ready to purchase homes, their parents could be in the market and looking, or their teachers and other professionals at the school can be potential referral sources. Get in with a trustworthy financial planner. Maintaining a relationship with someone that’s helping clients plan their financial futures will help you in many ways. The potential clients you can gain in this situation already have their finances in order, or are working towards it, and will make for a much easier loan process. You also have the option to refer your own clients back to this professional concreting the relationship. Get to know home construction companies in your area. It can help you find prospective leads for new homes going on the market. Offer to help them find buyers and eliminate some of the struggle on their end to find legitimate people looking for homes. 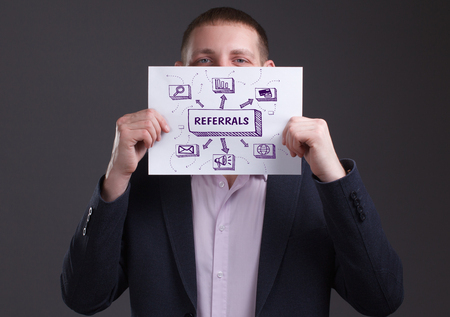 The best referral source you can find is from current and past clients. They are buyers that have already worked with you and can fully vouch for the experience. Maintain relationships with them long after the sale has gone through so they’ll be thinking of you when their friends and family purchase homes. Just like with any other business, networking will make or break you. You need to get your name out there and make sure it sticks. Promote your business and hand out cards to anyone that will take them, but make sure you’re being effective and legitimately helpful.